This place is convenient to the town and the apartment we rented was a good size. Restaurant ! Excellent, good quality and price. Worth staying for the restaurant alone. Comfortable room, lovely pool and great restaurant. It was near where I needed to be for an overnight stay. After a two week stay in a very poor property, this hotel was a very welcome change. Highly recommend this older style French provincial hotel. we had apartment 15 - a big space with a separate sitting room and dining room. The pool opposite was brilliant. The owners and staff were very good and helpful, including booking the vets appointment for my two dogs. The hotel was dog and child friendly which made it a relaxing, if hot, stay. We stayed in a large apartment style family room which slept 5 comfortably. Good location and friendly staff. The room was complimented by a terrace. Staff were excellent - we arrived long after the check in window due to a delayed flight and they were very accommodating despite the language barrier. Adjacent restaurant good too. 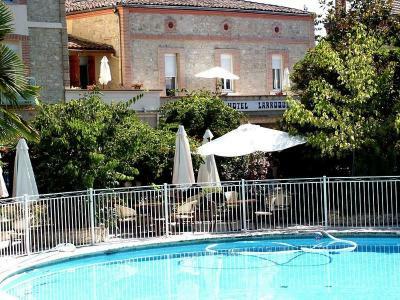 This charming 19th century hotel is located in Caussade. It has a spacious terrace area with tropical plants. 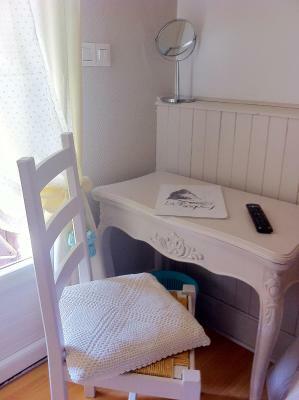 Guest rooms at Hotel Residence Larroque are decorated with warm wooden furnishings. They come with a TV and a telephone. 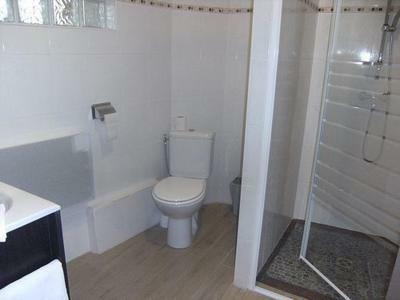 The private bathroom offers a shower equipped with the 'Skinjay' system. 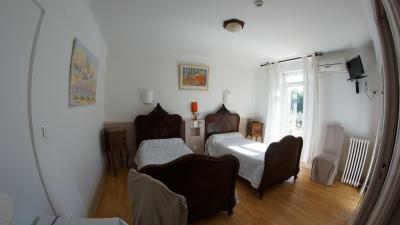 Guests have access to free WiFi and some of the apartments have facilities for disabled guests.. Guests can enjoy cuisine from the Tarn-et-Garonne region in the partner restaurant opposite the hotel. This restaurant has a terrace surrounding the swimming pool. 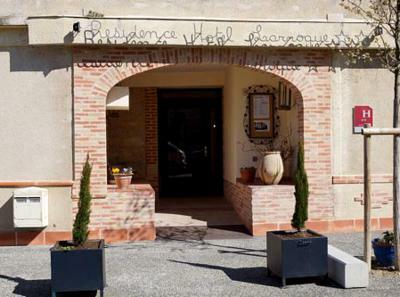 Hôtel Résidence Larroque is 11 mi from Montauban and close to Caussade train station. For guests arriving by car, free private parking is available onsite. 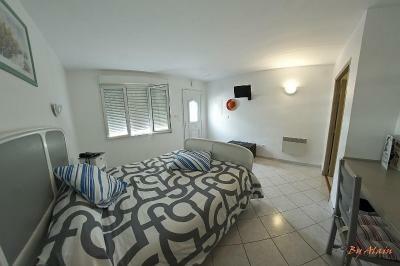 This property also has one of the top-rated locations in Caussade! Guests are happier about it compared to other properties in the area. 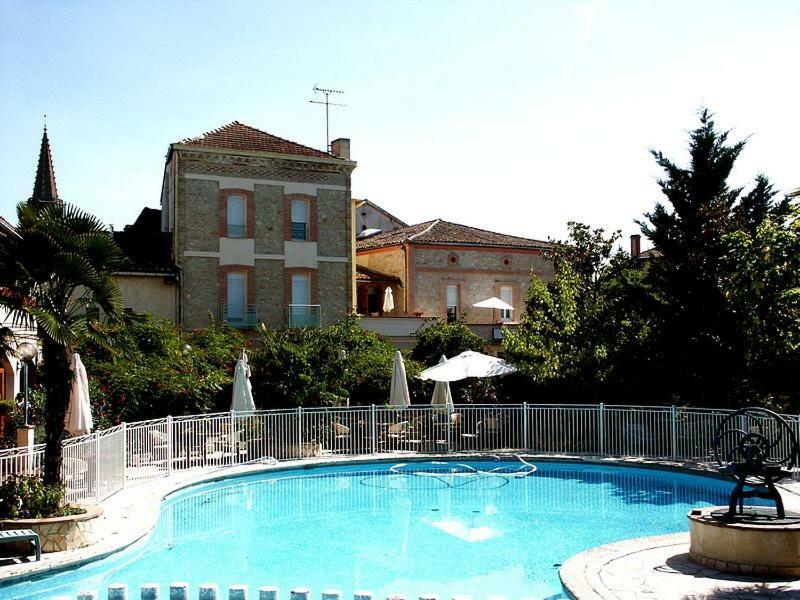 This property is also rated for the best value in Caussade! Guests are getting more for their money when compared to other properties in this city. When would you like to stay at Hôtel Résidence Larroque? This bright room features a balcony and includes a flat-screen TV and a private bathroom. 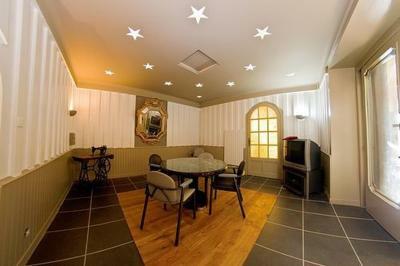 These spacious apartments have a seating area, a kitchen with a dining area and 2 bedrooms. Some of the apartments have facilities for disabled guests. You can request a furnished balcony. 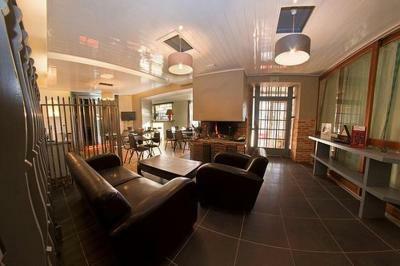 This spacious apartment has a seating area, a kitchen with a dining area and 2 bedrooms. House Rules Hôtel Résidence Larroque takes special requests – add in the next step! Hôtel Résidence Larroque accepts these cards and reserves the right to temporarily hold an amount prior to arrival. No hot water the evening we arrived. Towels very tired! The receptionist was very nice. A two star rating is right!! Car park is very small. Old fashioned. Pokey room with small window and little light. Needed a special code to get in after 9.00pm! When I inquired by e-mail I was told that my room had air conditioning but it did not, although the AC was confirmed by e-mail from the hotel. It looks like not all rooms have AC. It was more then misleading. The existing fan was not enough to keep the rooms cool. It was very hot. We had a couple of major problems. The owner did not tell us that we had to have a code to get in after 9pm. We were locked out. Fortunately we had seen him at dinner and were able to walk back 4 blocks to where that was to get the code. The bed in the upstairs room was hard as a rock. The breakfast service did not have great variety and there was a bit of chaos going on. Dated tired bathroom . The secure parking was locked at 20:45 for the night. The man on duty in the morning was very nice, as was the cleaner. However on arrival things were different. The receptionist at first seemed just eccentric but quite welcoming but it was a but of a struggle communicating and it became apparent he was rather drunk. When we came back from our evening meal around 21.45 he was nowhere to be seen, although the hotel was supposed to be open til 23.00. We had been given no instructions about a code etc and didn't question this as we had already noted reception would be open as we knew we would not be late. Another guest rang a number posted by the door and eventually our chap turned up, even drunker. He didn't seem to recognise me and growled 'que voulez-vous?' in a quite nasty tone. He then insisted that he had given me a piece of paper with the code on it, which he hadn't, and started berating me, accusing me of having lost the alleged piece of paper and then lying about having not been given it. He was very aggressive and it was really upsetting. Even the nice staff in the morning seemed pretty tired and fed up and the muesli had weevils in it and the bread was extremely old. This didn't matter too much as there was a toaster but still. There was a photo of business-y looking youngish owners who were nowhere to be seen. They need to turn up and give the staff a pay rise, sort the drunk guy and pay their business and bit of attention. Physically it's great, please don't smarten up the vine covered courtyard or embellish the lovely old rooms but you do need to make your guests feel a bit more wanted. I thought there was air conditioning but there wasn't in our room, and with only a roof velux it got very hot. We didn't have a balcony which most of the other apartments have. The other apartments were modernised but this had older fittings. The owner said we should ask for apt 20 if we return which is nicer. The room was a little dated with minimal cooking utensils and cutlery so it you did plan to cook it made options limited. Rooms and particularly bathroom a bit dated but had everything we needed.